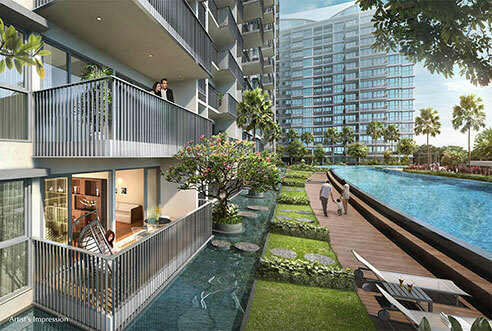 Kingsford Waterbay is a 99-year leasehold condominium development located at Upper Serangoon View, Singapore in district 19. 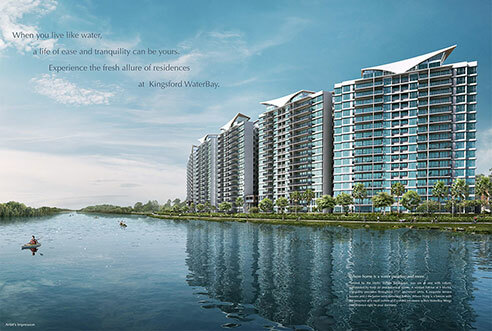 Kingsford Waterbay provides Quality Waterfront Housing in a attractive location along the Sungei Serangoon waterfront. 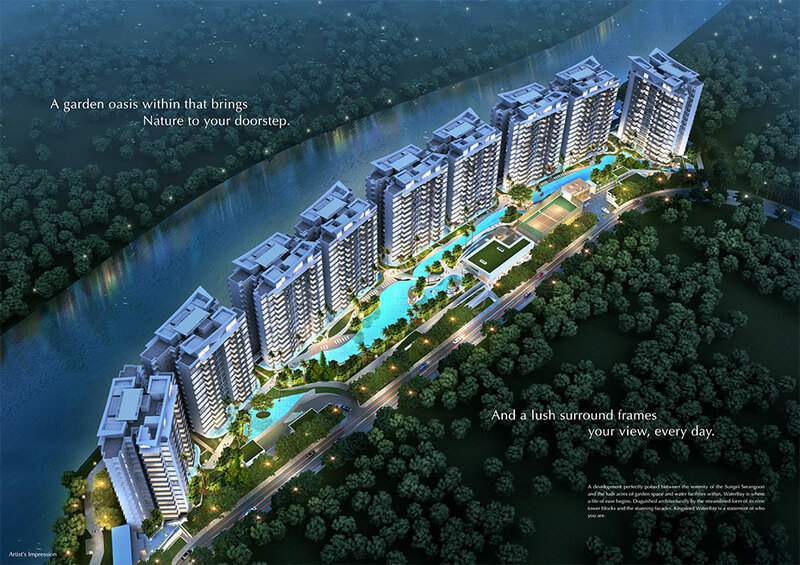 Expected to be completed in December 2018, Kingsford Waterbay comprises a total of 1165 units. 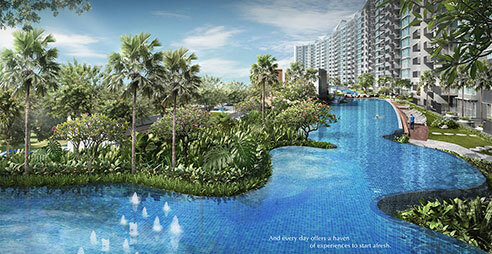 Kingsford Waterbay is relatively close to Hougang MRT Station and Buangkok Mrt Station which will have a mixed development upcoming. 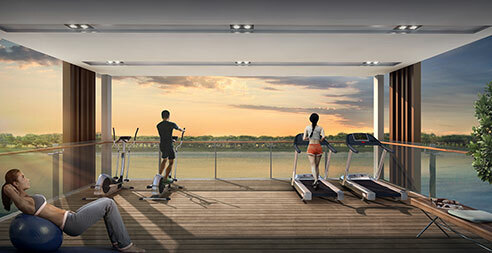 Kingsford at Waterbay has full condo facilities such as basement car park, swimming pool, BBQ pits, Jacuzzi, 24 hours security, gym, playground and jogging track. 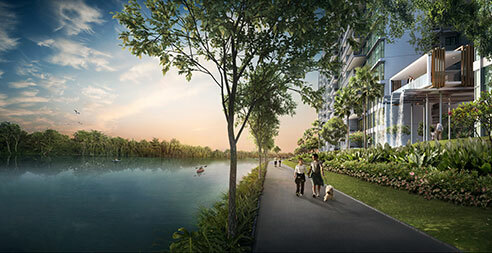 Residents at Kingsford Waterbay will enjoy direct access to the Serangoon Park Connector, which is part of NParks’ North Eastern Riverine Loop that connects to other major parks in the North-East Region including the nearby Punggol Park. 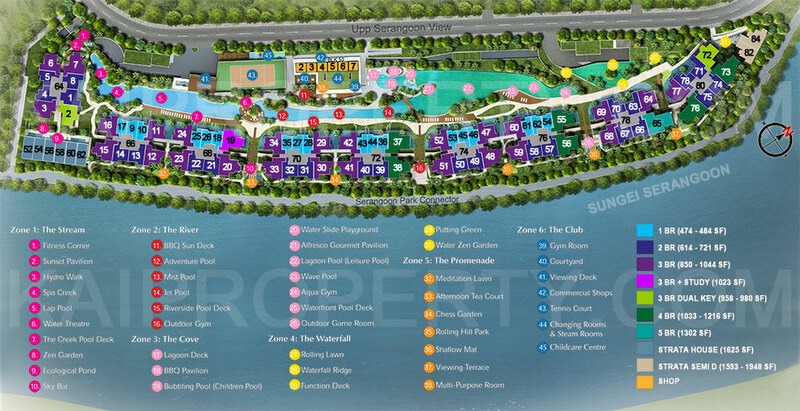 Kingsford Waterbay is located close to commercial amenities such as Hougang Mall and Heartland Mall. 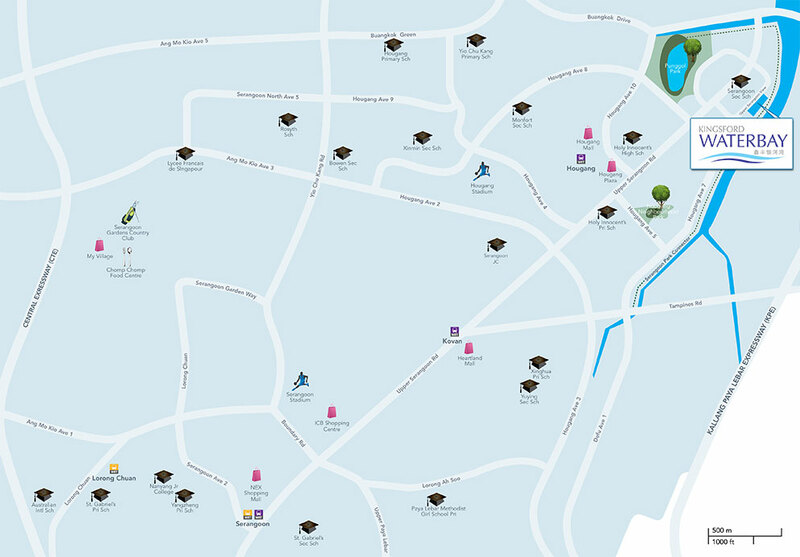 The future developments are also ideal for families with school-going children, with many schools located in the vicinity such as Rivervale Primary School, Serangoon Secondary School and CHIJ Our Lady Of The Nativity. Kingsford Waterbay Show flat Opens Daily! 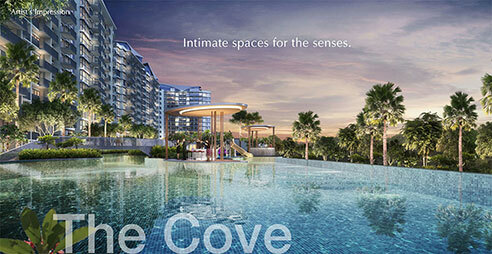 Kingsford Waterbay is a 99 year leasehold new condominium development located at Upper Serangoon View. Expected to be completed in December 2018, Kingsford Waterbay will comprise of 1165 residential units.